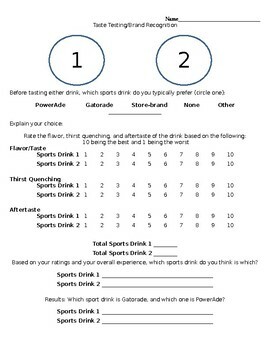 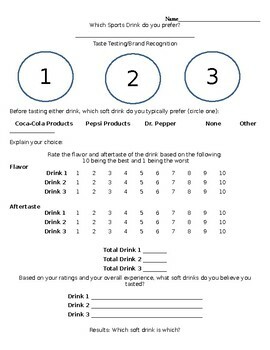 Students sample each product and then complete a form that indicates which product they believe is the name brand, and which they believe is the better of the two products. 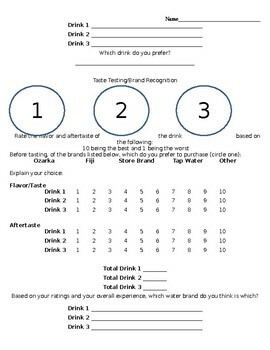 Inevitably, students are not always able to correctly identify name brands in the blind taste test. 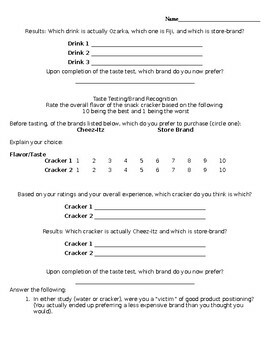 This leads into a discussion of why name brand foods are more expensive, as well as the cost savings that we can recognize by substituting private labels for name brands.